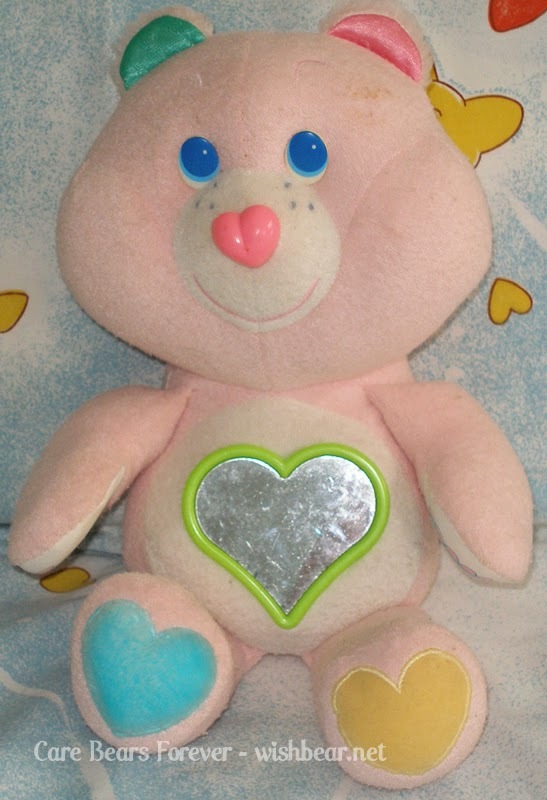 My First Care Bear was available in blue and pink velour This Care Bear was made for babies. It has a mirror on the tummy. The nose clicks. There is a squeaker in one paw and a rattle in other.